Every time I have studied the Scripture regarding the money changers, I have wondered what caused Yeshua, who never was violent any other time, to become violent. Have you ever wondered? If you have, you are not alone. The answer has been hidden unless you are a Rabbi with a lot of knowledge or a Biblical scholar but it holds a deep truth explaining what is going on in global economics and the world today. When we understand what transpired we can better fight the adversary. We must go back and look at a little history and gain understanding from the Law of Moshe. Sh'mot / Exodus 30:11-16 "ADONAI said to Moshe, "When you take a census of the people of Isra'el and register them, each, upon registration, is to pay a ransom for his life to ADONAI, to avoid any breakout of plague among them during the time of the census. Everyone subject to the census is to pay an offering to ADONAI half a shekel [one-fifth of an ounch of silver] -- by the standard of the sanctuary shekel (a shekel equals twenty gerahs). 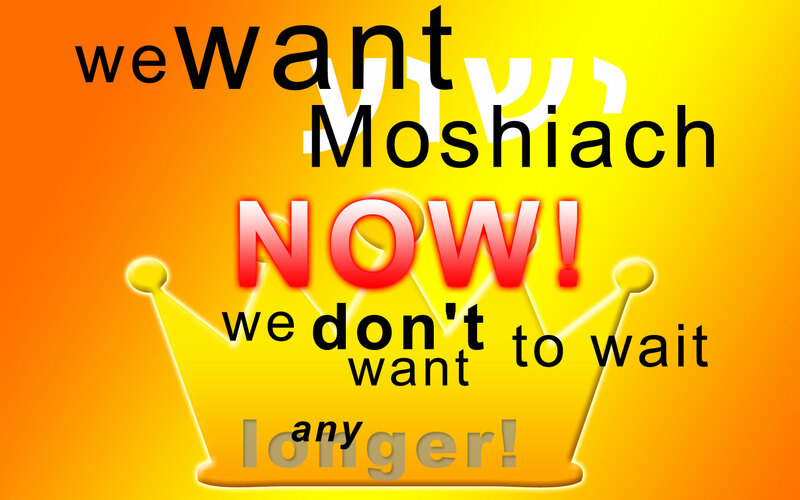 Everyone over twenty years of age who is subject to the census is to give this offering to ADONAI -- the rich is not to give more or the poor less than the half-shekel when giving ADONAI's offering to atone for your lives. You are to take the atonement money from the people of Isra'el and use it for the service in the tent of meeting, so that it will be a reminder of the people of Isra'el before ADONAI to atone for your lives." The half-shekel became known as the Temple tax and was collected annually. In fact, it was the resumption of collection of this Temple tax by the Temple Institute that I paid this year that began to cause me to want to understand the practice and set me on this learning journey. This tax was mandatory and the Pharisees could even seize property to pay it. Even Messiah Yeshua had to pay it as recorded in Matit'yahu / Matthew 17. Yeshua asked Kefa (Peter) an interesting question. "Shim'on, what's your opinion? The kings of the earth -- from whom do they collect duties and taxes? From their sons or from others?" Kefa answered, "From others." Yeshua replied, "Then, the sons are exempt." Yeshua knew this tax was not right. It was only to have taken place during a census and it wasn't supposed to have a fee charged on currency exchange. It had turned into a big business. Only the half-shekel of the Temple was acceptable to pay this tax and this is where the role of the money changers came in. They exchanged a person's foreign coins for a fee into that which was acceptable to the Temple. The money changers served a role similar to currency exchange. The fee that was charged for this exchange was a great revenue for the Temple with the myriads of foreigners traveling through the Temple courts. And since the money changers had a monopoly on the Temple half-shekel and the buying and selling in the Temple, they could charge whatever they wanted for those coins. As you can see, the set up held all the ingredients for control and possible corruption. The Word records in Ur / Luke 16:10-15 "`Someone who is trustworthy in a small matter is also trustworthy in larger ones, and someone who is dishonest in a small matter is also dishonest in large ones. So if you haven't been trustworthy in handling worldly wealth, who is going to trust you with the real thing? And if you haven't been trustworthy with what belongs to someone else, who will give you what ought to belong to you? No servant can be slave to two masters, for he will either hate the first and love the second, or scorn the second and be loyal to the first. You can't be a slave to both God and money." The P'rushim heard all this, and since they were money-lovers, they ridiculed him. He said to them, "You people make yourselves look righteous to others, but God knows your hearts; what people regard highly is an abomination before God!" So what happened the day that holy indignation rose up in Yeshua to the point He was turning over desks and benches and destroying the work of the money changers? What Yeshua saw transpiring in His Father's House of Prayer (Spiritual Gan Eden) was a spiritual replay of what transpired in Gan Eden. Yeshua saw the buying and selling in the Temple that was the very same spiritually as Lucifer buying and selling souls. He saw Eve buying (accepting) the lies of Lucifer into her temple and selling (giving up) the truth from her temple. 1 Corinthians 6:19-20 tells us that our bodies are temples. "Or don't you know that your body is a temple for the Ruach HaKodesh who lives inside you, whom you received from God? The fact is, you don't belong to yourselves, for you were bought at a price. So use your bodies to glorify God." As we know, Eve's actions resulted in Adam choosing her over G-d. Instead of chasing Lucifer out of Gan Eden, Adam sinned with Eve. The result was their spiritual death. When Yeshua saw the money changers selling the lies of the adversary and exchanging truth for lies, holy and righteous indignation arose in Him. His zeal for His Father's house was great and He became the second Adam and did what the first Adam didn't do and chased the evil commerce of satan out of the Temple! He was reversing the curse of Adam spiritually. He wasn't going to let the false, evil commerce of Lucifer steal the truth from the Temple! He was watching over the garden! Satan has always done the same thing over and over. It is written in Yechezk'el / Ezekiel 28:16, "When your commerce grew, you became filled with violence; and in this way you sinned. Therefore I have thrown you out, defiled, from the mountain of God; I have destroyed you, protecting keruv, from among the stones of fire." So satan was kicked out of heaven for his evil commerce of buying 1/3 of the angels with his lies. Then he showed up in Gan Eden and bought Adam and Eve with his lies. But glory to Yeshua, he didn't fool Yeshua! Yeshua cast him down right in front of everyone. Just like Lucifer had done in heaven and in Gan Eden, satan through the money changers was buying and selling with lies in G-d's Holy Temple. It was an earthly manifestation of a spiritual event. The resulting violence against the children of G-d from this commerce even confiscated their properties representing their lives. It was just a repeat of what Yeshua had seen before. This is why such holy indignation and zeal arose in Him. The Temple was not only the center of worship but also the treasury of Eretz Israel. Spiritually it represented the Body of YHWH with the many treasures within it. Messiah Yeshua likened His own body to that of a Temple....being able to raise it in three days. Rav. Sha'ul (Apostle Paul) talked about us having treasure in our earthen vessels and about our bodies being the temples of G-d. This is why satan comes after the children of G-d with such a vengeance. Today we see the same evil of satan at operation in global economics. Nationally, like today in the United States for example, the Federal Reserve Bank has a total monopoly on the creation of credit and money out of nothing but thin air and then charges interest on it. They have gotten mankind to accept the Temple half-shekel so-to-speak. Lies upon lies for a fee. I won't even go into "global warming" lies just to allow more taxes on everything from birth to air. It isn't just the USA, it's worldwide. Global economics based on such fear and lies is the embodiment of the satanic plan of evil commerce. The goal is to control all aspects of life for all mankind from cradle to grave, aka, total enslavement. It's just the outward evidence of a spiritual commerce that is being transacted over the souls of mankind. There's only one problem, the second Adam has come and has chased the chief liar out of Gan Eden away from His bride. He didn't allow the truth to be purchased by lies for sale. The second Adam didn't fail and resurrection life is the result. When G-d's people are involved, there are living stones among the bricks. It is with G-d and men we are linked, not half-men/half-computers and it is with G-d and men we share. As humans of earth, we are not all the same nor do we all have the same desires and needs but the global elitists believe we should be nothing more than slaves to their own needs and desires. They want us all to have the same amount of money, the same health care, the same housing, everyone on the planet share equally like bricks, that is, except themselves. They believe they can decide who shall live or die and how much of the natural resources they can control. It is even with their false global warming scheme they are coming up with ways to tax the air we breathe. Don't fall for the lie. Don't be deceived. This earth shall last as long as our Father decides, not global elitists under the lead of their father. Our Father GAVE us the air, water and natural resources of this earth, not theirs. Our Father gave us the freedom to be who we are. We have no need to be controlled from the cradle to the grave nor do we need government entitlements to be our support when our G-d shall supply all our needs according to His riches in glory by Messiah Yeshua. This is why their plan won't work. We are like our Father and will always be successful. We are living stones of the Most High G-d and these stones will one day be removed and the bricks will utterly fall. Global elitists think they are very smart and push their anti-Christian and anti-Yeshua agenda, but I have news for them. One day the entire system of satan will cave as the Divine King drives the money changers out of the Temple called The Body Of Messiah once-and-for-all. Yeshua watches over what belongs to Him.